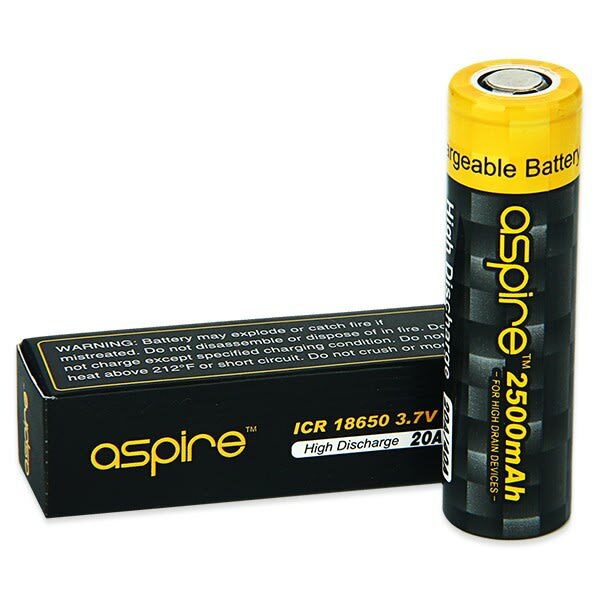 Sorry, Aspire 18650 ICR 2500mAh Mod Battery -20A has been discontinued. 18650 ICR battery for mechanical and regulated mods by Aspire. Flat top, 2500mAh capacity, 20A discharge. In addition to its 1800mAh 40A ICR 18650 battery, Aspire is now offering this 2500mAh 20A ICR model with the same very safe chemistry and solid build, ideal for use in the Aspire CF Mod, or any other mechanical and regulated mod requiring a reliable 18650 ICR flat top battery.